Motiview was developed in cooperation with the Department for Senior Care in the City of Bergen (2012-2013). The main target groups are older people and people with dementia within public and private healthcare. This includes care homes, adult day care centres, senior community centres, home care services and rehabilitation. Motitech is present in the Nordic countries, North America and the United Kingdom. The constantly growing video library (over 1500 videos) helps to bring memories back to life through sensory impression and further inspires to physical activity. 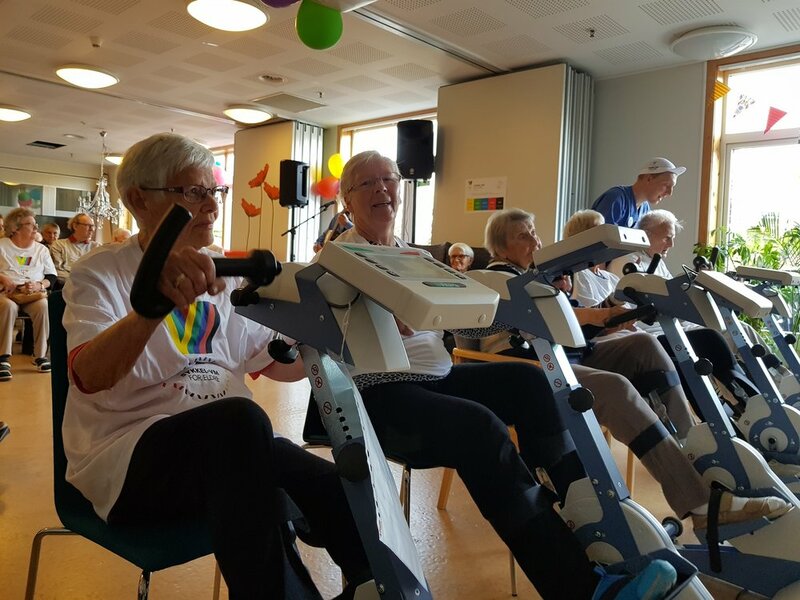 In 2017, Motitech organised the very first «Road Worlds for Seniors». In 2018 we had more than 2400 cyclists from six countries participating. The participants cycled 52 000 km in the four weeks the championship lasted! Motitech is constantly evolving. We grow and are committed to bringing together innovative and committed team players who can drive Motitech in the future. We have sharp heads with broad expertise and varied backgrounds. Common to all of us is that we find motivation in Motitech's vision: Older people and people with dementia should have increased quality of life and better health.